DUO is the successful product of a lightweight and low-noise universal formwork. In addition to various other components, a repair kit is now also available with which minor damage to the formlining can be repaired quickly and inexpensively. The innovative planning app, DUO Planner, rounds off the overall concept developed by PERI. Since its official launch at bauma 2016, the fibre-reinforced plastic DUO system formwork has convinced numerous users worldwide – and has also opened up new markets as well as target groups. Thanks to its intuitive handling and requiring virtually no tools, DUO is predestined for use in emerging markets. In addition, the lightweight system is particularly suitable for small-scale constructional concrete components with simple geometry and without special demands placed on the surface such as foundations or retaining walls. Thus, for example, users from the gardening and landscaping sector can also invest in this formwork system. Since 2016, several new components have been introduced in order to meet various customer requirements including adapters for connecting the articulated corners of the DOMINO and LIWA formwork systems. On the occasion of bauma 2019, PERI is presenting a range of additional developments – aside from a number of supplementary components, the focus of attention will be on a repair kit and a new planning app. Completely new in the PERI programme is a repair kit with which minor damage to the formlining can easily be repaired. Grooves as well as holes up to a diameter of around 20 millimetres can be quickly and inexpensively repaired. Scratches are thus fixed in an uncomplicated way using a hot-air gun and welding wire while special repair plugs can be used to close holes. 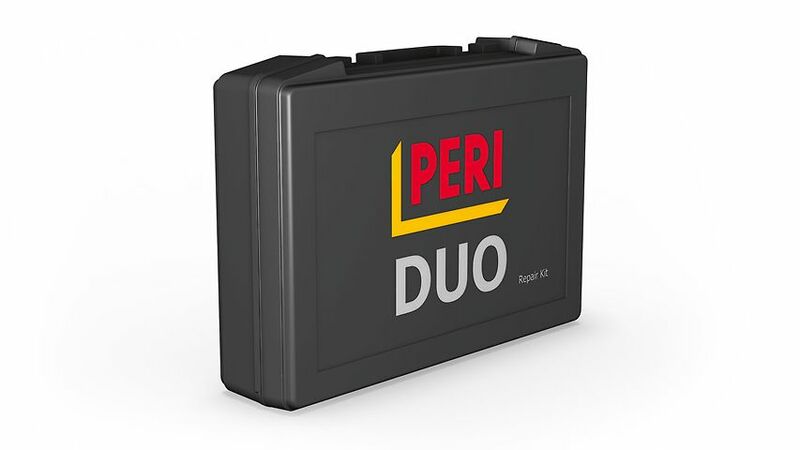 PERI provides the required equipment and filling material in a compact repair kit. The basic principle of the universal formwork is its simple and fast application. The fact that this must also apply to any corresponding planning software was quickly agreed upon by the PERI development team. Under the name of "QuickSolve", PERI will be introducing various planning tools to the market in the near future. This includes the web-based planning tool "DUO Planner". 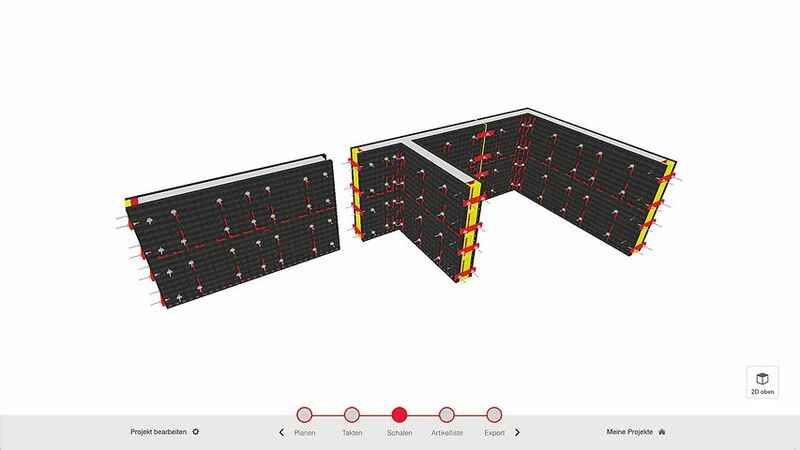 It currently allows users to plan, cycle and shutter simple ground plans with the DUO Universal Formwork. However, the application is flexibly undergoing further development so that additional functions will be available in the future. Accessing the tool is very straightforward: the only requirement is having an internet connection along with a one-time registration. Separate installation is not necessary.